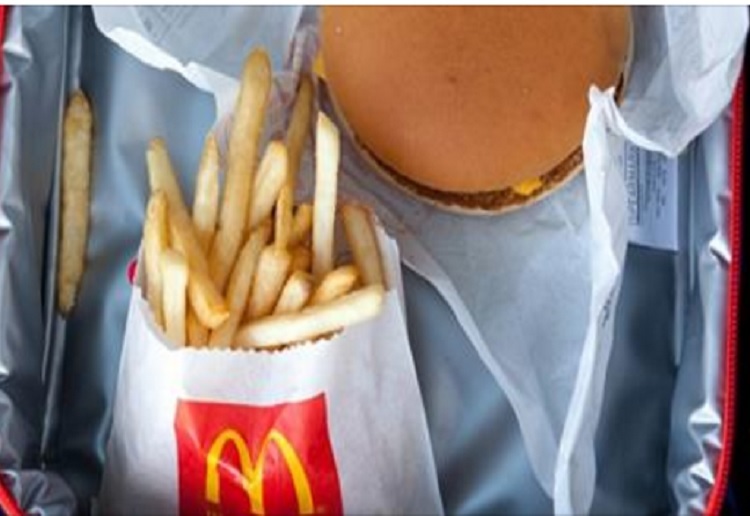 One NSW school has banned parents from delivering fast food lunches to their kids. Canley Vale public high school in Sydney’s south west has sent a note home to parents telling them it is no longer acceptable to deliver McDonald’s & KFC for their kid’s lunches! It totally defeats the healthy lunch policies schools are trying to enforce. Uber eats has even been asked not to deliver food to children at school. Some parents are going so far as to contacting school to take their child’s place in detention. While others are paying tutors to have their child’s exams re-marked. One school principal is claiming this extreme parenting trend known as ‘concierge parenting’ is drastically on the rise! Amid growing concerns about the long-term impact of parental intervention, schools are beginning to act. Last year one School ruled that forgotten items delivered to school by parents would stay in reception until the end of the day. Do we do TOO MUCH for our children? I know we love our little angels but this is a bit out of hand with lunches and not letting our kids have constructive criticism about schoolwork etc. Can’t keep them away from all the big bad things in the world and bring them unhealthy lunches just because they asked for them. Yes we definitely can tend to do to much for our kids, bringing kids their kfc for lunch is a bit much. Unless they have just had a super stressful busy morning and don’t have time around lunch to make anything fancy. Then I wouldn’t blame them! Wow, really? Who orders their children fast food for lunch!!! Oh come on. Why would you get fast food delivered to your child at school? Delivering fast food to your child at school – sounds a bit insane!! What is the point in sending your child to school if you are going to do their detention for them. I do agree with stopping the fast food deliveries though. I can’t even get my head around a parent doing that. That is just wrong. I can’t believe in this day and age that parents do this. I’m often shocked and surprised by things I learn about from school involving parent’s behaviour. It’s just ridiculous and not okay. How will our children ever learn to function on their own? That’s ridiculous what parent in their right mind does that? Clearly not ones who work. Talk about helicopter parents – this is taking to a further stage. Children should be forced to do their homework themselves and learn discipline – parents should get into the background but teach their children and themselves how to stay off the phone and social media. Some parents don’t allow their children to go on the internet alone. I know a parent who prints off abbreviated information and the child uses it to do write his own assignment. It can be difficult to supervise your child for hours when you also have a young baby who needs constant nappy changes and re-settling because of a genuine medical problem. This is an actual thing? How ridiculous! It’s ok once in awhile for a treat but not at school! The craziness of it all! Though if it’s through a delivery service like Uber, the kids could be ordering it themselves. I was thinking it was the parents actually bringing it – that is just beyond ridiculous! That’s awful! Living rurally, we don’t have the option of fast food deliveries and I doubt I would’ve done it if it was available. We have a school bus run, yet some parents still choose to drive their kids to school, rather then let them walk 10 mins to the bus stop! What they don’t seem to understand is by doing this, it could potentially finish the school bus run. If there isn’t enough kids using the bus, there will no longer be a bus!